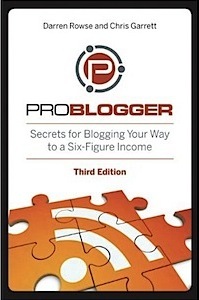 I picked up a copy of the Problogger book and flipped to the Blog Promotion chapter. In it they recommended – Create compilation pages. I crafted a new post, selected some of my blogs most popular material, organized it with nice punchy one line summaries, and after about 20 minutes posted it. Hey what the heck, I’ll give it a try. interlink within your posts – this is huge! There are other great chapters on Social Media to get your posts going viral, and of course the ever important monetization topic is covered nicely. Go pickup a copy of this book. It’s worth much more than the cover price for sure!